What does The Flying Locksmiths Franchise Cost? Flying Locksmiths require a total investment of $120,000 - $200,000 and a cash requirement of $75,000. The royalty fees are 8% royalty and 4% call center fee. 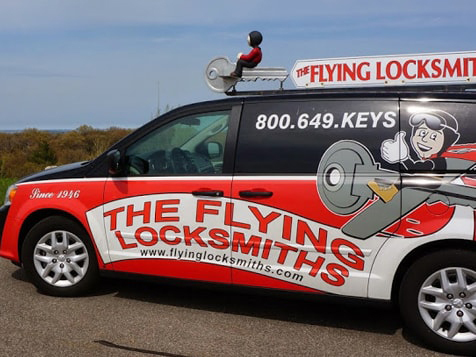 Flying Locksmiths are seeking candidates who are looking to scale a business and manage a P&L versus working in the field. Flying Locksmiths offer a national call center that manages all prospective customer inquiries through a toll free number. The Flying Locksmiths' White Collar Executive Model. Take advantage of an industry that has been fragmented for decades with "Mom & Pop" operators and partner with The Flying Locksmiths. From antique door knobs to high tech security systems, you can offer a complete range of locksmith services without ever lifting a screwdriver. The Flying Locksmiths are seeking candidates who are looking to scale a business and manage a P & L versus working in the field. A national call center which manages all prospective customer inquiries through a toll free number is provided. Most of the work is done for you. The center educates the customer about the service and you grow your business. Utilize the expertise of The Flying Locksmiths to establish your own locksmith business with a trusted name and more than 70 years' experience. Choose the Flying Locksmiths franchise for a secure future. You will not be disappointed! Adaptable franchise model - you can run as an owner operator (not working in the van), transitional model from another career, or straight ROI model with general manager. The Flying Locksmith’s (TFL) is a a blend of old school ideas with new age technology; a white collar business management franchise opportunity in an industry that has been fragmented for decades with “Mom & Pop” operators. 90% of The Flying Locksmiths' business is commercial with the remainder being residential (traditional locksmith work e.g. locked out of home or keys locked in car). Identifying these individual businesses, in your area, will help your franchise grow and become more profitable. Included with each type of business is a breakdown of common services that they require and some local examples that TFL currently do work with. The entirety of this list, will request profitable services, on an ongoing basis and expect a quick turnaround on any services rendered. The Flying Locksmiths are seeking candidates who are looking to scale a business and manage a P & L versus working in the field. A national call center which manages all prospective customer inquiries through a toll free number is provided. Most of the work is done for you. 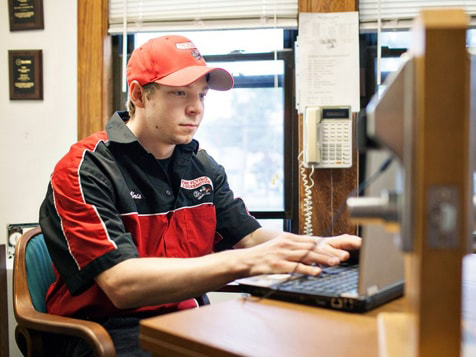 The center educates the customer about the services, gives an estimate when appropriate, schedules the job, and routes the job through a centralized process. Approximately 200-300 square feet of office space for admin and parts inventory storage. There will be a lot of training that covers marketing and how to target the commercial accounts. For the national accounts, The Flying Locksmiths will work with you to provide a warm introduction to those brands in your market. 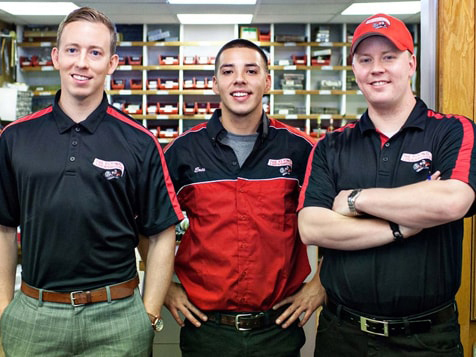 The Flying Locksmiths is a family owned and operated business since its inception in 1946. So, you can expect a hands on approach when opening your franchise. Start a TFL Franchise today and become part of the family! *Support for the earnings claim can be found in the Item 19 of The Flying Locksmiths Franchise Disclosure Document (FDD).